Mumbles senior and youth squads welcome Swansea Uplands RFC First XV and Youth XV to kick off our rugby festival weekend at Underhill Park in memory of Tom Pugh who sadly passed away November last year. A prominent key playing member of Swansea Uplands who is sorely missed. KO 5:45pm (youth) and followed by the seniors, refreshments, BBQ and bar will be open! Junior Day, where the minis aged 5-8 will kick off the fun from 9.30am, followed by the 9’s, 10’s and 11’s playing their 7 asides games. The 12’s and 13’s matches will commence from 2.30pm and finally the 14’s 15’s and 16’s will be having a training/recruitment day – we encourage all youngsters of any ability who are interested to attend. Again, refreshments, BBQ and bar will be open. 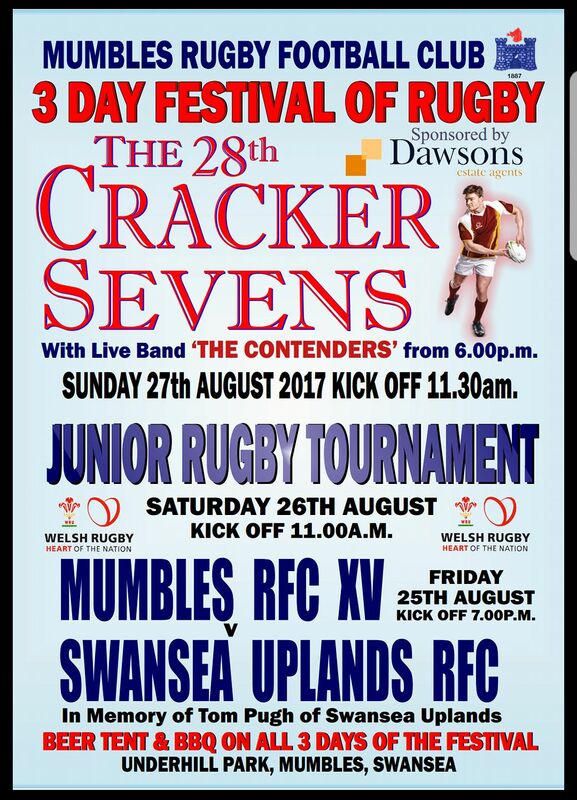 Then onto the 28th Cracker 7’s event on Sunday, we again look forward to a full packed day of rugby from the men and ladies in their respective tournaments. 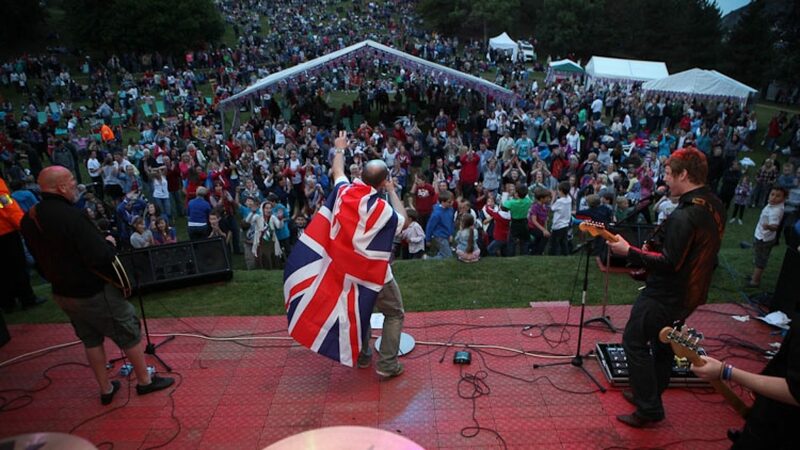 Max Howells, our very own resident DJ will be entertaining throughout the day and evening along with live music from the popular Mumbles local band THE CONTENDERS, who will be performing in the marquee bar after the finals. ANY TEAMS STILL WISHING TO ENTER: please contact via email on bar1887enquiries@gmail.com – full details will be passed onto the organising team.